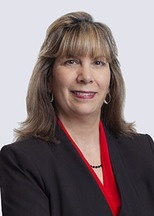 Laura Romeo has extensive experience in environmental regulatory and enforcement matters, including advising and negotiating resolutions involving the Clean Water Act (CWA), Clean Air Act, Resource Conservation and Recovery Act (RCRA), audits, rulemakings, and environmental aspects of transactions and litigation. Her energy practice has included utility and municipality rate proceedings in multiple states, legislation, and contracts. She has been involved with developing, implementing and negotiating construction contracts.